Indian Air Force (IAF) Recruitment 2018: Indian Air Force (IAF) Has Declared Government Jobs/Sarkari Naukri of Group 'C' Civilian posts. Apply Before 30 April 2018. 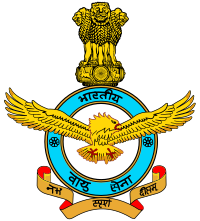 All Qualified Candidates Are Required to Check Eligibility Details for the Indian Air Force (IAF)Government Job 2018. Eligible candidates can apply to any of the Air Force Station of their choice subject to the vacancies and qualifications. Application as per prescribed format typed in English/Hindi), duly supported with the following documents is to reach the concerned Air Force Station as per choice within 30 days from the last date of the publication of this advertisement in 'Employment News/ Rozgar Samachar' (i.e. Last date will be 30/04/2018). Applicants to mention clearly on the envelope "APPLICATION FOR THE POST OF _____ AND CATEGORY _____".